If you want to play a super-addictive bowling game on your Android or iOS device, then Bowling Talents is a perfect fit for you. Bowling Talents is a game that’s designed with realistic mechanics, challenging gameplay and wonderful design that brings a great gaming experience to all players. We liked this game so much, so we chose it to be our Cross-Platform Game of the Month. Developed for Android and iOS users, this is an incredibly fun and exciting sports bowling game that will test the accuracy and reflexes by asking them to try and bowl through the challenging obstacles to know down the pins and win their scores. 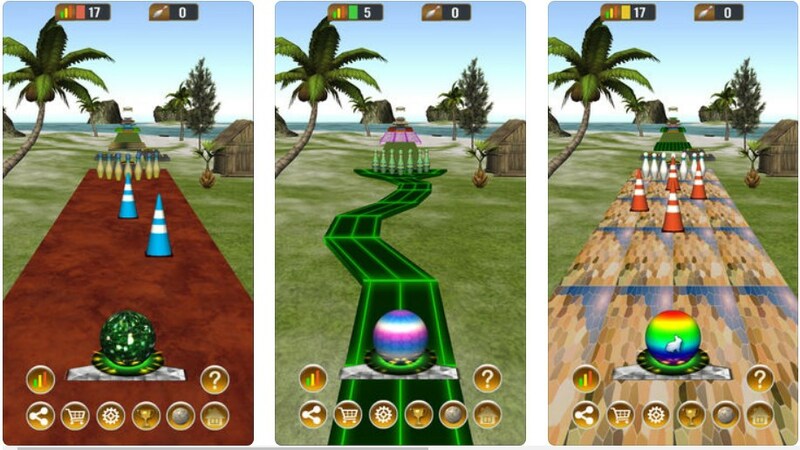 With the gorgeous realistic physics and the addictive gameplay set in the beautiful 3D graphics environments, players will enjoy the best bowling experience while trying to get through the maze of obstacles to get the title of the best player. The Bowling Talents is offering you the chance to test your bowling skills in a realistic environment with addictive gameplay that will get you hooked to bowling on your first try. With the game, your skills of bowling and your accuracy will be tested and all you need to do to achieve high scores is to try and knock down the pins by bowling through the maze of challenging obstacles. One hundred pins are offered in 10 sections of each alley, separated in 3 groups such as the challenging, the harder and easy group, you can play and test your skills in 50 challenging levels of the game. 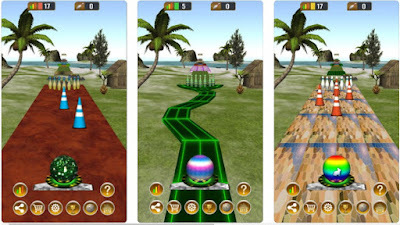 Bowl in 3 different location and choose between the Deep Space, The Peaceful Island and the Mystic Forest. Cool and different bowling balls are offered for you to choose from. Try to react fast and precise, knock down all the pins and find your way through the maze of obstacles to achieve the highest scores. For more fun, invite your friends to join you and play. Download the game for free on Google Play and App Store and enjoy the realistic bowling experience!